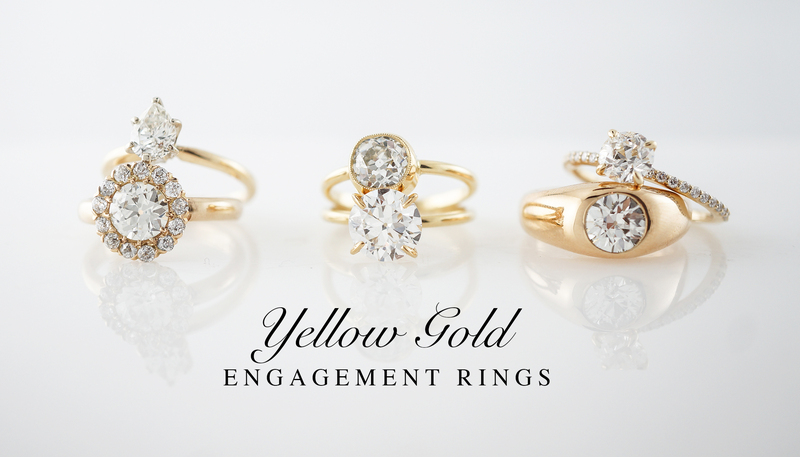 Our collection of yellow gold engagement rings spans the Victorian, Art Deco, Retro Mid-Century and Modern periods. Victorian engagement rings were almost exclusively produced in yellow gold and retro mid-century periods also saw yellow gold make a comeback. Yellow gold art deco rings are fairly rare as platinum and white gold were the metals generally being used during the period, however we do have some stunning examples in our collection. Yellow gold will be forever timeless and your stunning piece awaits….